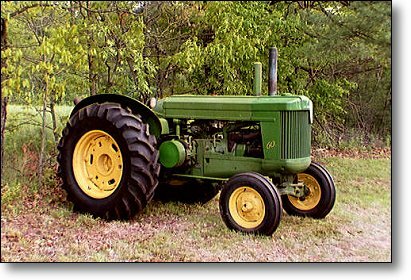 This Model 60 belongs to Syd Taylor of Orange Massachusetts. 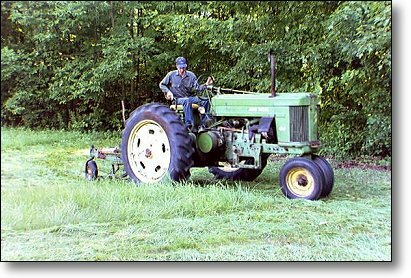 Syd uses his 60 for the same chores as I use my B's, especially for mowing. The 60 was the successor to the Model A. It was produced from 1952 to 1956. 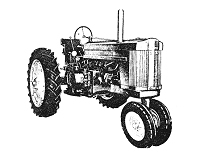 The 50 and the 60 were the first tractors to have duplex carburation, live PTO, and live hydraulic. You can tell them apart from the Model A and Model B because they have the vertical grill instead of the horizontal louvers. How do you tell a 60 from a 50? Look HERE. Both the 50 and the 60 were available with an LP gas engine as well as the gasoline and "all fuel" versions. 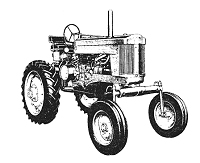 The "rowcrop" 60 was available in the same front wheel configurations as the Model B, and also as a "Hi-Crop". I know, I know..... You can't see the tractor very well, but you'll notice that Syd has a No.5 Mower! 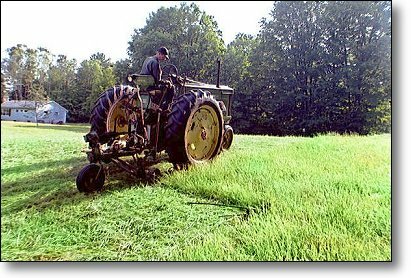 That mower was the first No.5 I ever saw. I said, "I gotta get me one of THOSE!" This is a "60 Standard", also called the "Model 60R" or "60 Regular". It has a wide front with a fixed tread-width. This one is the early "low seat" version. The wheels and tires are a different size than those on the row-crop version. Find out more about what "Standard" is, HERE.